But Christine! You make and sell online classes! What blasphemy is this?! Go to the best private art school you can get into, and come out four years later with a fancy piece of paper and $100,000 of debt. Go to the best public school you can get into, and come out four years later with a fancy piece of paper and $25,000 of debt. Cobble together your own online art education with classes, courses, boot camps, workshops, webinars, and bajillions of free videos, and come out who-knows-how-long-later with no fancy paper, probably no debt, and a bunch of random, disparate technical art skills. Personally, I’ve gone through two of these options. I attended Design School at a public school, had a wonderful experience, and learned an immense amount about creativity, art, and design. But after graduating and working for a while as a designer, I decided I wanted to be an illustrator. I had no debt, and had no intention of going into debt for a career that is not known for its money-making abilities. So I became a self-taught artist. Fortunately, the internet has broken down barriers, allowing anyone anywhere to learn anything, for much less than before. You don’t have to spend $100,000 to get access to high quality art education now. The resources on the internet enable us to keep up with innovations, learn new skills, and explore new techniques. But unfortunately, this new internet utopia of knowledge isn’t totally working. How many times have you enrolled in and paid for a course, and never completed it? You might think it’s just you, but you’re definitely not alone. Seth Godin, a marketing writer and teacher, recently claimed online classes have a 97% drop-off rate. He even reported that his own courses on Udemy and Skillshare have an 80% drop-off rate! Udemy reports that the average student enrolled in a Udemy course completes just 30% of the content. And an average of 70% of students never even start the course! The big, accredited universities aren’t doing any better at online classes. A recent study of 16 MOOC’s (massive open online courses) from top universities on Coursera from researchers at the University of Pennsylvania Graduate School of Education found an average completion rate of 4%. What’s Going Wrong with Online Classes? As someone who puts a lot of time and energy into making online courses in the hope students will actually experience all that content, those numbers are depressing. But I totally get it—because I’m a contributor to that statistic too. I’m registered in approximately 1,432 Skillshare classes and have completed a maximum of 5 ever. And that’s over the course of the 5 or more years I’ve been a member of Skillshare. What gives? We have unprecedented access to quality information, at a substantially lower cost compared to the past. We’ve been blessed with an internet chock full of resources, information, and knowledge on anything we could possibly want to learn. We obviously have the desire and curiosity. So what stops us from following through with our own online art education? Why do we drop out? BONUS STEP! 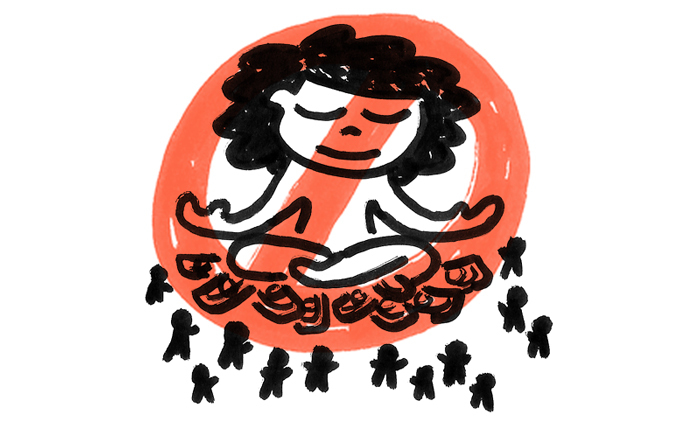 Hey, now you’re a guru on raking in money, and you can teach that too. People will pay big money to learn how to make money! This is the standard track for online teachers. Learn something, package it up, sell information, make money. Then move on to the next big trendy thing, sell more information, make more money. It’s the way that’s easiest for the teacher, and hardest for the students. And it’s precisely why online classes have a drop-off rate of 97%. Because here’s the thing: for online education to be on par with actually going to school, it can’t just focus on information. Pretty much anything you want to learn is already available for free somewhere on the internet. And going to school was never about the information, anyways. Going to school was about leaving home. It was about being in an environment where growth, experimentation, and exploration was encouraged. It was about being surrounded by other students interested in growing and exploring. It was about not knowing exactly where you’re going, but hopping on for the ride anyways—it was about the journey. School wasn’t about the information. It wasn’t just a pile of books or a series of lectures—it was a place where you went to find and discover yourself. For years, I haphazardly plowed through Skillshare classes, Youtube videos, art tutorials, and whatever else I could get my hands on. I managed to cobble together an art education, but I believe my initial experience of attending design school was a huge part of why I was able to do it on my own. Online courses are ONLY about the information. When I think back to my design school days, I rarely remember the lectures, textbooks, videos, or even the actual classes I took. What I remember most from school, is Studio. Studio was the room where we all made things together. Studio was where we talked together. Studio was where we worked all day, and chugged coffee all night. Studio was where we dragged ourselves back to in the early morning to present our projects and get feedback. Studio was where we got stuff done. Studio was where we slacked off. Studio was where we shared favorite books, playlists, blogs, and inspiration. Studio was where we laughed, learned, and grew together. It wasn’t the teachers that taught us the most. It wasn’t the textbooks that taught us the most. It wasn’t the projects and assignments that taught us the most. And it certainly wasn’t the awful tutorials and demonstrations that taught us the most. The information we learned was important, but it wasn’t the thing that taught us the most. It was the studio, and all the people in it—it was my studiomates. How to not give up after failure from my studiomates. How and where to find inspiration from my studiomates. How to use mac shortcuts and software tricks from my studiomates. How to sharpen my intuition from my studiomates. How to persevere through low points from my studiomates. How to be open to possibilities from my studiomates. How to improve my work from serendipitous help from my studiomates. How to talk about ideas, art, and design from my studiomates. How to bounce back from rough critiques from my studiomates. How to not let my head get too big after a good critique from my studiomates. How to receive and give helpful feedback from my studiomates. How to tinker, brainstorm, and ideate from my studiomates. How to steal, remix, and share ideas from my studiomates. How to know when to take a break from a project from my studiomates. How to follow vague instructions from teachers from my studiomates. How to experiment over and over from my studiomates. How to explore and develop my taste and style from my studiomates. How to be confident in my work from my studiomates. The current system of art education isn’t working anymore. Maybe it never was. What do we really need to learn to be artists? 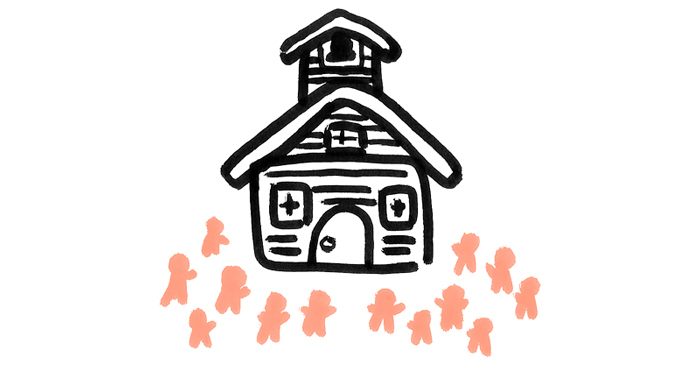 Do we need classrooms? Do we need lectures? Do we need teachers? Do we need students? I’m not a teacher or an expert. You can’t teach how to be an artist, you can only encourage and facilitate it. The artistic journey is a lifelong journey, that I’m still on, we’re all still on, and always will be on. We never really graduate art school—we should always be learning and growing as artists. Learning and teaching isn’t just about information, it’s about action and people. We learn by doing. And we learn more by doing together. What if we could work on and grow our art together in an open online studio space? What if we could have access to quality processes and pathways through the artistic journey in that space? What if the focus wasn’t on teachers and students in that space, but was instead about everyone? What if we could have online studiomates? I believe a better art education system is possible. And I don’t want to wait around for it anymore. I’m building it for myself, for you guys, for us, right now. This is about more than just a class. Sketchbook to Style Boot Camp is just one part of this new platform. A platform to guide and facilitate your unique artistic journey at all levels. A space for premium structured course pathways to guide you through your artistic journey as you graduate from step to step. A space for artist-to-artist conversations and student-led events, challenges, and groups. I’ve been working head down for months on how to bring all these pieces together. And it’s finally ready. I’m opening up enrollment again to Sketchbook to Style Boot Camp tomorrow for one week only. All students in this course get access to the just-released 2.0 version of the course—improved and updated with a year’s worth of experience and feedback—plus, an invitation to join Might Could Studiomates. In the future, I may be opening up this platform to people who aren’t students in my courses. Enrolled students will always have private student-only groups to discuss assignments and course-specific topics, while non-students will have access to extracurriculars like the book club, studio playlist, drawing challenges, open chat rooms, spaces to share work, live events, and more. But for now, I’m only inviting in enrolled students. The current students are already inside as the platform’s founding members. And tomorrow, I’m opening enrollment for one week to give you guys a chance to become a founding member of this brand new art education platform too. P.S. If you’re already a Might Could Email Subscriber, you’ll receive the email tomorrow already. If you’re not a subscriber, you have until tomorrow morning at 9am to sign up below to get the invite! Sign up for the Might Could Studiomates Wait List! Get notified when Might Could Studiomates future invitations are released.